As some of you may know, I have been involved with BorderLinks since February of this year. BorderLinks is a nonprofit organization that provides answers to very important questions in our community, such as why people migrate, what happens during the migrant journey, and how immigration policies impact people. 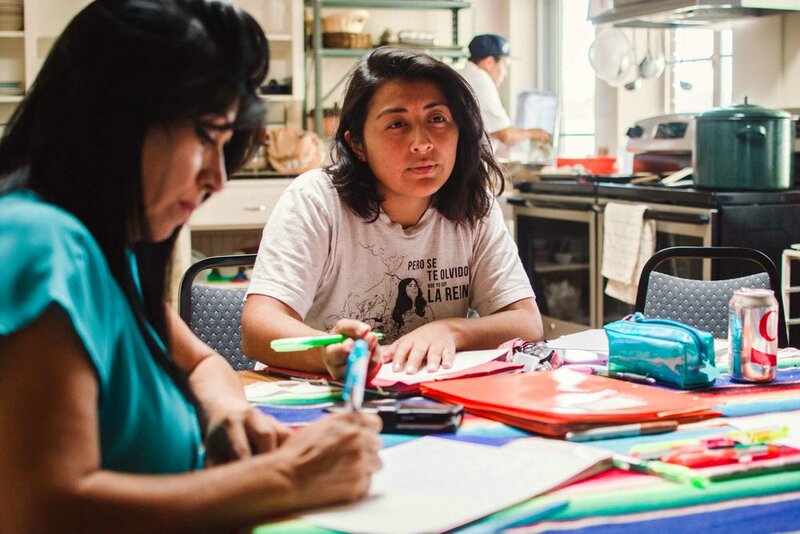 Organizations like Borderlinks are essential to help connect our divided communities, raise awareness about how immigration policies affect the borderlands, and encourage people to take action to create social change. More recently, I transitioned from being a social media volunteer to being a board member. Even before I became a board member, I knew that I had a great responsibility to inform and educate people as a social media manager. Accepting a position as a board member confirms my commitment to the cause, on a level where my hope i to help strengthen the organization so that it can continue to provide popular education to as many people as possible. Last month, the rest of the BorderLink board members and I were invited to attend a delegation. A delegation is an experiential learning opportunity that explores migration issues and social justice in the borderlands. Put simply, delegations are groups of people from universities, churches or other associations who come to BorderLinks to experience and explore the difficulties of migration and leave with a plan to take action in their communities. The current BorderLinks board. Back row, left to right: Dave Coatsworth, Liz Rabago and Cecelia Aguilar-Ortiz. Front, left to right: me, Cathie Pacheco (our delegation leader), Josefina Ahumada, and Mali Lorenz, Boderlinks' administrative coordinator. Our delegation started on a Friday. Delegations typically range from being a weekend-long to an entire week. We shared some delicious calabacitas con queso before our delegation leader, Cathie Pacheco, gave us an overview of the history of BorderLinks. After we learned that Borderlinks was born out of the faith-and-conscience-based Sanctuary Movement of the 1980’s, Karolina, from Mariposa sin Fronteras talked to us about going to the Florence detention center the next morning. She shared with us the files of 5 people that we were going to visit, and explained to us how important our moral and possible financial support would be to the detainees. The next day, even though I was unable to attend the detention center, my fellow board members shared with me the emotional toll that the visit took on them. All of the people they visited were at imminent risk of being deported. Some of them fled their countries of origin because they were being persecuted for their sexual orientation, while others left trying to escape poverty and violence in their countries. We wrote some letters to wish the people at the detention center some strength and patience. Other members left some money in their commissary. But we also learned that many of these people have no relatives or friends in the U.S., so they have no one to advocate for them or to give them any kind of support. I’m so glad organizations like Mariposa sin Fronteras exist to support LGBTQ people currently detained in Eloy and Florence, AZ through visits, letters, bond support, advocacy, and housing upon freedom from detention. 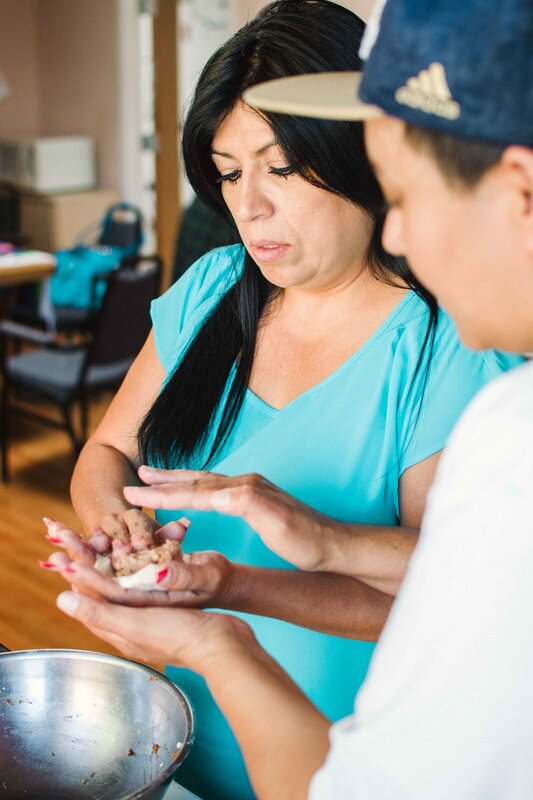 After our letter-writing activity, Yesenia, a Salvadoran native, taught us how to make traditional pupusas. Making pupusas with Yesenia is an activity that all of our delegations look forward to. It is a warm moment shared at BorderLinks that goes beyond any language barriers. Once we ate the delicious pupusas that Yesenia prepared, we sat down with her to hear her story of how and why she migrated to the U.S. From the violence and persecution she experienced in El Salvador for being a lesbian, to all the trials and tribulations that she went through while trying to cross the border, Yesenia opened up our hearts and minds to more compassion and understanding. She made us get teary-eyed more than once, but not without a laugh or two during her narrative. At the end of the day, we reflected and went home with a heavy heart. But it is important and necessary to challenge our understanding and open our hearts to the suffering in our world. Once we know where it hurts, we can find the root of the problem. It is only after finding the true cause that we can come up with solutions to heal it and prevent it from happening again. Our last day of the delegation was spent doing a migration activity. Cathie, our delegation leader, prepared a series of envelopes with different immigration stories. Through the stories in the envelopes, we learned more about how the current immigration policies in the U.S affect individuals. One thing that was particularly striking to me was that two different people with a similar background can be on the road to become U.S. residents, but the one with a higher social and economic status (usually an athlete or musician) will be more likely to obtain it faster, or simply obtain it. Growing up with my mother in Mexico, while my father worked in the U.S., many of the things we talked about during our delegation were not foreign to me. However, I am aware of the privilege that entails being a U.S. citizen, having light skin and speaking English. I don’t have to deal with the stigma and stereotyping that many of my fellow Mexican brothers and sisters living in the U.S. experience. I also don’t get delayed at border checkpoints because I don’t look like a “Mexican.” And I certainly don’t have to struggle as much to be able to rent a house, open a bank account or get a job. Working with underserved communities in Tucson has made me more aware of the issues that our current immigration policies create. I see myself in many of the students I serve at my school. At best, some of the students are U.S. citizens but have fractured families due to having undocumented parents, many times with one parent living in Mexico. At worst, it is hard to motivate our teenagers to finish high school knowing that, with their undocumented status, they will not be able to get a job. The current immigration policies in our country generate a lot of trauma in our communities. I’ve experienced it firsthand, and continue to see it in our schools, at the grocery store and at the public library. I don’t want to leave you feeling like it’s all bad and there’s nothing you can do. If all of these things I talked about are completely new to you, I invite you to join a delegation at Borderlinks to educate yourself on the matter. If you are currently unable to do that, please consider supporting popular education at Borderlinks by making a donation. If we all took small steps, imagine how far we could go.